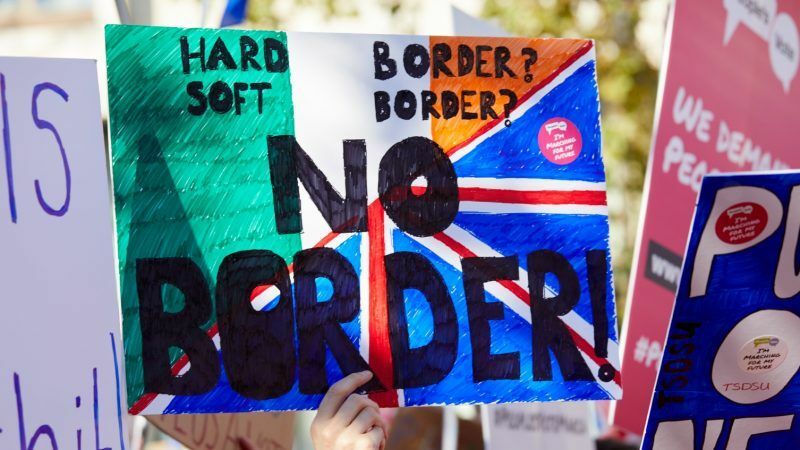 While studies and reports about the consequences of Brexit on EU27 regions are multiplying, it is increasingly clear that the EU needs to create mechanisms to support territories negatively affected by the United Kingdom’s withdrawal from the Union, write Marc Joulaud and Lambert Van Nistelrooij. Marc Joulaud is a member of the European Parliament’s Committee on regional development and author of a report on cohesion policy. Lambert Van Nistelrooij is the European People’s Party coordinator in the Committee on regional development. The ongoing negotiations on the next Multiannual Financial Framework provide a unique opportunity to set up a “Brexit fund” to this end. Last March, the European Committee of the Regions published a report detailing the consequences of Brexit on trade and the economy in the EU27 regions and cities. Similar work was carried out in individual regions across Europe, with the same conclusions everywhere: no matter what the final shape of future relations between the EU and the United Kingdom will be, Brexit will have a considerable impact in our Regions. This finding is true in Ireland for obvious reasons, but also in many other Member States. In the French Region of Pays de la Loire for instance, Brexit is expected to affect negatively sectors such as fisheries, agriculture, tourism and port activities. In the Netherlands, the loss to the Dutch economy could total 1.2% of GDP by 2030. In Poland, a recent paper warned that whatever the scenario, every business should count on trade difficulties. Notwithstanding these concrete elements, the European Commission has adopted a wait and see attitude preserving the status quo. It considers that the precise impact of Brexit is still unknown and that the proposed regulations should be flexible enough to deal with these challenges. We believe this is a double mistake. First, because it does not send any positive message to our Regions, at a time when uncertainty fuels concerns, in particular in Regions which will become tomorrow European external borders. Then, because the EU has precisely the opportunity to take action now and to send a strong signal instead of simply waiting for the damage to be done and reacting “too little too late”afterwards. This wait-and-see attitude is all the more incomprehensible as the political demand is strong and widely shared. In addition to the Committee of the regions, the Conference of Peripheral and Maritime Regions has carried out a very enlightening work on this issue, and a significant number of local and regional representatives call for European action in this regard. The impact of Brexit will be asymmetrical, both from a geographical and a sectoral point of view. As the goal of Cohesion policy is precisely to provide tailor-made support to our regions, this important investment policy emerges as a prime instrument to anticipate and mitigate the negative effects expected. Therefore, the current negotiations on the future Cohesion policy provide a unique opportunity to set up a specific fund for regions directly affected by Brexit. To this end, an amendment proposal has been tabled to the Common Provisions Regulation in the EP Committee on regional development. It calls for the creation of a specific support fund of 120 million euros for EU regions affected by the United Kingdom’s withdrawal from the Union. This amendment also underlines that particular attention should be paid to EU regions that will, as a result of Brexit, find themselves situated on a new external (sea or land) EU border, such as Hauts de France or South Holland. Such mechanisms aimed at supporting regions in a context of changes in EU external borders have already existed in the past. For instance, in 2001 (when Michel Barnier was the Commissioner for Regional Policy), a specific budget line was created to support EU regions sharing a border with the future new Member states, and whose borders were de facto about to see their situation change. The European Parliament needs to be at the forefront to protect the citizens and economies of the EU Regions from the challenges created by Brexit. These Regions will see their situation harmed by something they never asked for and cannot be made responsible for. We consider that the EU has a responsibility to act now in order to anticipate, soften the blow and show to its citizens that Europe is there to protect them. The stakes and the path of action are clear, all that is needed now is the political will to act before it is too late. Figuring out how to trade has been the solution for my dreams, and where I figured out how to trade in light of the fact that I’ve never trade previously is a spot called Emini S&P Trading Secret. These gentlemen are extraordinary so accommodating to another dealer like I was, whether you get remain faithful to something or need help they are there to help you and extremely learned in trading. So I tell individuals quit working for another person and work for yourself, simply figure out how to trade.